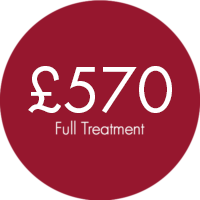 Full consultation with a specialist review of tests, prescription, treatment plan and follow up advice for 6 months. Please be aware that the responsibility for ensuring the account is paid is yours. All accounts should be settled on the day of treatment unless prior arrangements are in place. We accept all major credit cards. We understand that unexpected circumstances and unplanned issues can arise, leaving you unable to attend and needing to cancel your appointment. As such, we respectfully request that you notify us of any intended cancellation a minimum of 24 hours in advance to allow us to offer the appointment to other patients. 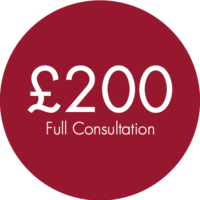 Appointments cancelled within 24 hours of their scheduled time as well as missed appointments will be subject to the full cost of the consultation and/or treatment. Late arrivals where the appointment cannot be completed without running into the next appointment slot will be cancelled and rescheduled without charge. This allows The Iron Clinic to run efficiently and fairly for all patients and to offer the best possible service. Unavoidable circumstances may warrant special consideration. Following the consultation with our doctor a full treatment dose of up to 1600mg of intravenous iron will be given, as an infusion over 15-30 minutes in a safe, monitored and comfortable environment. I did the 5km park run in 24:42 minutes this morning – before the iron I did it in 27:09. That’s a huge improvement, I’m really delighted and I felt much better doing it too. I was warmly welcomed and seen very promptly despite arriving about 45mins early. It was quickly decided that an infusion would be beneficial and I was soon hooked up to the IV and receiving treatment treatment which was great. The facilities were clean, spacious and very pleasant. So happy with my appointment at the Iron Clinic. Friendly and relaxed environment helped me feel at ease. The team are clearly passionate about the treatment and where happy to answer allof my questions. Excellent. Highly recommend. Everyone was very attentive and reassuring. The consultation was good and very informative about iron deficiency. It was great to have acknowledgement that my symptoms were (likely) iron deficiency related. I could have talked through more about them. The end result so far though has been amazing – I feel like someone cleaned my glasses! An excellent team of specialists. Very knowledgeable and they made sure to talk me through every step of the infusion.